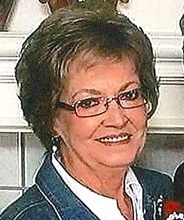 Mary “Darlene” Hartwick, 70, of Olathe, passed away on January 27, 2016 at Olathe Medical Center. She was born on May 7, 1945 to William “Tom” and Frances Lauren Lawrence. She is survived by her loving husband, Thomas, her children, Kelly McGinnis, Darren “Jess”, David McGinnis, step-daughter Tammy, her sister Judy Jacobs, grandchildren Audrey McGinnis, Tylor “Katie” Hermson, John, Deborah, Mathew, Megan, Dierra, Delaney, Tasha, Breck, and great grandchildren Forest, Mali, Jase, Stryker, Evelyn.